Toledo, Ohio, November 15, 2018 – The Secular Humanists of Western Lake Erie are extremely disappointed that the Ohio House passed the so-called “Heartbeat” anti-abortion law, HB 258, on Thursday. The Republican party claims to be about protecting our rights but it seems they want to deny basic bodily autonomy to the women of Ohio, a right that seems to be the default for male citizens of Ohio. There are no laws restricting men’s accessibility to health care. Yet instead of working to better the lives of all Ohioans equally, the Republican leadership decided to waste taxpayer money to pass a law that lacks any rational scientific basis and most likely violates previous federal court rulings. It is a law that would restrict the rights of at least half the population. Humanists believe that public laws and policies should not be based on religious ideology but should be based on sound objective reasons. SHoWLE has trouble reconciling a political party that claims it wants to “make America great again” with the constant effort to inject themselves into the medical decisions of women and their Doctors. SHoWLE will continue to support women in Ohio who want to make their own medical decisions without religious intercession. 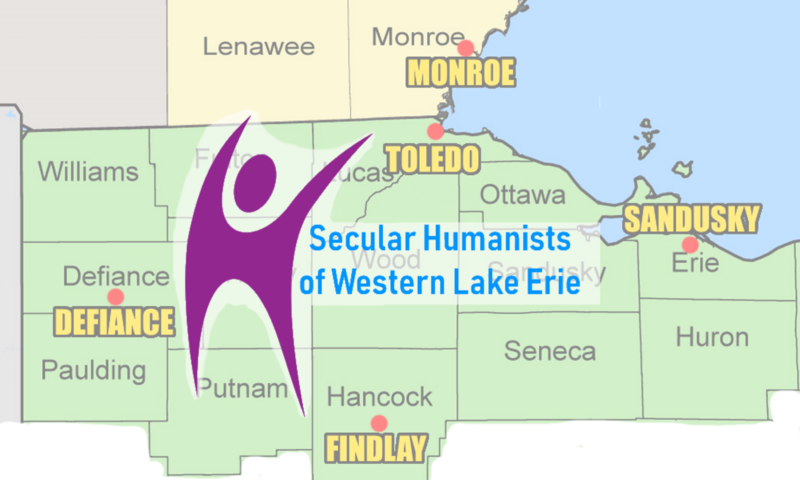 The mission of the Secular Humanists of Western Lake Erie is to provide a supportive local community for humanists and other nontheists, while promoting an ethical, reasonable, and secular approach to life through education, community service, outreach, activism, and social events. We envision a Northwest Ohio and Southeast Michigan where secular people are respected and integrated in broader society, live values of reason and compassion, and enjoy a friendly humanist community.